Argentina after winning their last qualifier match made their place in world cup 2018. Home kit for world cup 2018 leaked online. The kits made by Adidas. Look inspired from 1993 Copa America shirt. The kit features white and sky blue stripes. This time shirts gets more white only three stripes of sky blue. Which provide the kit bit different look then previous kits. The are three black layer stripes on both side of the should which you will see in the given pics. So far no updates about the away kits. Most probably they would come in dark navy blue color. 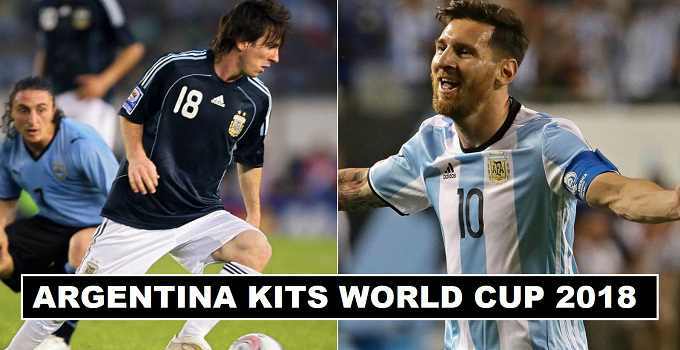 Once we have updates about the away kits of Argentina they will be updated here. 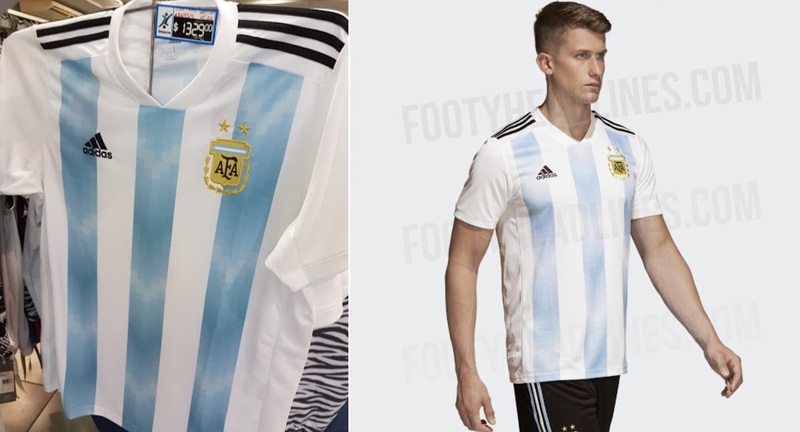 In above image you can see the design of home kit of Argentina. New authentic look given to kit specially from the above shoulder . The black layer stripes on the shoulders give it a way different look. Kit makers logo placed on left side while team logo placed on right side of shirt. More over the shorts wee managed mostly in black color. Strips layers on both side of the shorts colored in (white) and sky blue.